My name is Edwina, and I am a landscape architect who collects. Australian – mostly – and Sydney –especially. Whenever I make a site visit I invariably find myself scouting out the nearby second-hand and vintage shops. I have been collecting since university days – when second-hand/used/discarded household items were a necessity… and just never stopped. Now I love incorporating vintage elements with my contemporary furniture – I either reuse the item for its original purpose, or re-purpose it. All the items I collect appeal to me in terms of their design, colour and form – and look fantastic when massed together. I am also aware of an element of nostalgia ~ growing up in the 70s I have a love of things made in the 50s and 60s (‘mid-century modern’ in vintage speak). I am particularly fond of kitsch. Kitsch items are funny, playful and often ironic… and are fantastic to use in contrast to a minimalist, functional furniture setting. My collection is now too large for me to enjoy it all, and I am reluctantly parting with it. I figure it should be enjoyed by others, so whether you are a collector yourself, or want to start a collection, or want an unusual gift for a friend – email me and we can discuss: reretroblog@gmail.com. I am careful to only collect things that are in good condition and still fit for purpose- if there is any natural wear and tear I will make that clear. Welcome to my world of collecting! thanks pam, and thank you for looking at the blog. did you notice the glama ware tea set next to the ‘welcome’ post? it’s so beautiful! Thanks for the Follow on Crossings. This is an interesting site. Be sure (when you have time) to show us the cool stuff you’re not selling. Because I’m also “vintage” I like to look at vintage cameras and bakelite items, etc. hello! and thankyou! i gratefully accept and can already think of other (far more) deserving bloggers. You have some really great stuff. I will definitely be stopping by again to have a look at your lovely collection. Inspiring and well presented. Thanks. why thanks! i am enjoying the great photography on teamoss- fantastic images. I just had to follow your blog! I’m just starting out with collecting vintage pieces so your blog is a great guide for me. Can’t wait to see what else you’ll post! that’s great, thanks! it’s been equally nice discovering your blog- and what you will be posting…i’m following with great anticipation. Love this blog and all your great ‘finds’ just divine. ..and i love YOUR blog. incredibly fantastic. what a great selection of things you have…i…want…them…all. Hello, reretro. I included you in my Very Inspiring Blog Award part two (because there are just too many great blogs to do it only once). thank you…how lovely! especially since dieu on the grass is so inspiring to me! I did not realize these items were for sale. Wow what a collection. I will have to take a long look around and grab a few things from you. We also collect a lot of 50’s kitsch but I am in the process of buying a Victorian home. I may have to change to 30s and 40s and sell my kitsch goodies. hi geoffe…yes, it’s all for sale~ although somehow the collection continues to grow. i would love to see your 50s kitsch…. Thanks so much for checking out my blog. I am also a major vintage collector and hoarder – hence our recent 1968 Airstream purchase! I’d love to swing by your neck of the woods on our travels and introduce you to Wallabee. love your blog and would welcome a visit and introduction to wallabee! we must discuss/debate the gratutious use of the word hoarder…which doesn’t really apply to either of us. we are discerning collectors. with certain interests and passions. i would love a ’68 airstream though! What a lovely blog you’ve got. I’ll be checking it for inspirations. I’m into upcycling myself, so any new ideas are useful. Just a shame you are on a different continent. hi monika. thanks for your.kind comments! it is tricky being in the southern hemisphere…but there is always international shipping which is so efficient nowadays! I adore the kitsch and quirky too and I am so impressed that you have put together such a great collection in Australia. I am sure that it is appreciated by your customers. We have lots of visitors to Oxford, UK from Aus and when they come into our Antiques Centre they are overwhelmed with the choices and always say words along the lines of ‘ it is very hard to find things like this back home.’ Your Blog is inspiring and great fun! such a lovely comment, thanks bagthejewels! a lovely christmas gift indeed! thank you – and for your lovely christmas wishes – which i alsomdxtend to you. merry christmas! 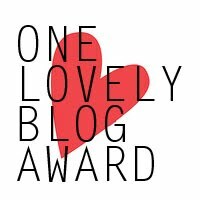 I have nominated you for the “beautiful blogger” award. wow and yippee! a lovely new year, indeed ~ thanks so much for the nomination! Thank you so much for following. I am very glad that we share the same interests and are both slightly addicted to opportunity and second hand shops. Look forward to reading your future posts. aimee…i am loving following your blog and looking forward to your wordly advice…need all i can get! Hi, I just wanted to let you know I have nominated you for the Leibster Blog Award. Having recently spent a lot of time photographing stuff to sell online I can appreciate that a lot of work goes into setting up the photos for the blog. I also enjoy the descriptions which provide just the right amount of information and convey your enjoyment of collectables. You can see the nomination and more information about the award on my blog at http://mayandseptember.wordpress.com/2013/01/08/my-first-awards/. I hope it will encourage others to enjoy your blog. Please don’t feel obligated to do the full acceptance unless its something you would enjoy. Thanks for stopping my my blog today and liking my post. I enjoy collecting vintage pieces also. Stop by again some day. i will be stopping by every chance i get…i am loving swampyfarms! thanks hellkat! that’s grand! congrats to you for winning multiple awards! Thanks for liking my post about recycled furniture! After looking at your blog I see we have similar interests, I also really like vintage furniture and accessories for the home. I like the fact you sell things too! hi emelie…yes, i think we might have similar passions. your recycled furniture is absolutely gorgeous…i’d like to put you on my blog roll- would tha be ok? Oh how utterly brave of you to sell off your collections! I’m a collector too, but I attach too much sentiment to the objects and it would make me cry to part with them. Some beautiful objects! hello- i do have a permanent collection…you can see bits of it in my ‘styling’ posts. but my collection is now so vast i can’t justify keeping it all. tell me ~what you collect? I will have a look! Everything I’ve seen so far is so lovely! Oh, where to start! West German vases, retro coffee pots and other 70’s /earthenware such as Hornsea and Meakin. vintage brooches. Recently have started to collect vintage knitting needles, vintage pinnies and headscarves, oh and old cutlery. Have a range of ethnographic antiquities too. It’s difficult when you find a new thing, to not want more of the same! Hi, and thank you for visiting my blog! Apparently we are kindred souls in that we are both collectors, though I suspect we go after slightly different things. One thing that seems constant is that we like old instead of new. Smart girls, if you ask me! absolutely! kindred, but not exactly the same. i love your blog…am following avidly! Hiya, Thank you fro visiting my blog, I’m really excited to explore yours, you have so many interesting posts to catch up on! Hi Edwina! Wanted to say thank you for your like and that we really like your blog. Good luck with future items for your collection! hey, i like your blog too! thanks for your nice message. thanks lia- i’m loving your blog too. hi kristina- i am loving world of sabine- i have recommended your post “one man’s trash…” to many people. it sums up my general approach to (my somewhat eclectic) collecting. lakshmi- thanks! it’s clear you love retro/vintage..i love following your blog. namaste! thanks, that’s kind. i love it all too but reluctantly have to part with it. meanwhile i love cinnamoncottage too! why thanks- nice of you to comment. i like constellation cafe too- i’d like to win the poster you’re giving away. Hi Edwina, thanks for liking my recent post. I’ve checked out your blog and it’s great! I LOVE retro and vintage homewares, and like you, am particularly fond of kitsch. Cheers, Alex. hi alex- i’m enjoying the great alexcellent very much. it’s clear you have the kitsch gene and i congratulate you! Thanks Edwina! That’s such a compliment. Love it! My sister has more of the kitsch gene than I do, including her collection of flamingos, Elvis and religious iconography. Thanks for following my blog – I’ve just changed the name from Alexcellent Lifestyle, to Discos in Unlikely Places. Content will be the same sort of stuff. I’m so glad you liked my very first post! I hope you’ll visit my blog again in future. certainly will- i’ll be there with bells on. congrats on a great first post! Edwina, I simply adore your “About” statement – succinct, honest, genuine and such a personal touch. How could one not want to get to know you? Bravo!! why thanks modern mogul! i say this, slumped in my eames chair viewing your site…i am looking forward to some robust discussions about MCM furniture with lots of eye candy! Hi Edwina. There is something from your About Page I have found we have in common. We love to incorporate vintage pieces with contemporary furniture. This is exactly how my home looks like. It is definitely what I call “vintemporary”. ha! i shall have to use your term ‘vintemporary’- thanks! Greeting from Cape Town, South Africa – nice to meet you, albeit digitally. The Wonders of technology is that you and I,who have something in common have a universal platform on which we can meet, greet and enjoy each other’s stuff. Interesting stuff that you do. Reading your About page, reminded me of a project we have just completed where there were many vintage elements integrated into the interior and exterior. The landscape artist managed to pick up the vibe, as did the client and now we have a house that has a fully integrated interior & exterior – just total flow happening there. Just such a pleasure. hello rose- and nice to meet you too. your project does sound incredible- do you have any images? i would love to see your work. Start a museum ok ktsch? Thank you for commenting on my blog, I thought I’d come and have a look at yours and am so glad that I did- you have such a nicely selected collection of vintage items! I really like that you upcycle some items as well as leaving others intheir origional state; I have been working with some lovely embroidered vintage linens lately, trying to give a new life to items that are partly damaged by using the intact parts to make something new. It is amazing what you can find if you keep your eyes open and aren’t afraid to rummage at a car boot sale or charity shop! thanks for the compliment- i am looking forward to seeing beautifully curated pieces on your blog! and also to see what you do with the repurposed vintage linens…. you’re right- i would love it! maybe you could see your way to posting some of the knick-knacks? i’m sure you could work them into the subject of your excellent posts. Well I admit, I hadn’t yet thought about getting knick-knacks in there – and such a fabulous hyphenated word it is too. Please call back and have a read – if I can slip a knick or a knack in you may be the first to spot it. why thanks! oscar takes all my photos – he is an excellent photographer. i shall pass your your compliment to him. thanks for following- and you’re great endorsement of all things retro! i’m definetly smiling! what a lovely compliment, rod! i hope your mother’s son is as enamoured of retro, kitsch and all australiana nostalgia! Do you have any of the old style (60s) oil lamps, that go up and down. I think they were made in the UK originally. rod- unfortunately no, i don’t have any 60s lamps – almost anything else though! i shall henceforth look out some for you. hi- really enjoying your blog- it’s clear you love vintage! It is extrely interesting how much our ‘hobbies’ have in common! Love your items they are fab! thanks shopgaisie- viva la hobbies! and thanks for the fab comment! Dear Edwina, better late than never I would like to thank you for following my blog and for looking over my “Caravan”-Post. In therms of up-cycling there will be more stuff coming….as I love vintage objects. Your post about the vase and the matchbox car is interesting! The combination of things make more out of the individual! I like this! thanks roman- i am looking forward to more vintage on your blog! lesly-anne; forget parallel lives- we are twins separated at birth! i had a feeling you might be a collector…and your DIY rings were magnificent! Thanks for liking my post ‘vintage Travel Posters’. Being a big fan of art glass I’ll have to keep dipping into your blog to see what’s available. lovely! ms mary I shall check in for vintage travel posters and you can see my art glass…a fair swap! Hi Edwina – What you do sounds absolutely amazing. Here in Cape Town, South Africa, we have a week end market ( vintage- aka Flee Market) which is patronized by a designer friend of mine almost each Sunday. Like you he has a very keen eye for good vintage items. Unlike you he does not install them into the homes of his clients. It’s a personal collection and I often have to wonder if there is even a cm of space left open for the next one. Take care. hi rose- what a lovely comment! I have been collecting for well over 20 years – started as a student [out of necessity] and never grew out of the habit. I am now bursting at the seams and need to move some of the collection – to make way for more collections! Hi Edwina I’m a horticulturist and I collect vases. Just one’s I like. I have so many now I have slowed down on my collecting. I have this one Pates tulip vase. I would love to send you a picture in case you know something about it. I was asking friends on FB if anyone knew much about this particular one and a friend gave me your website.